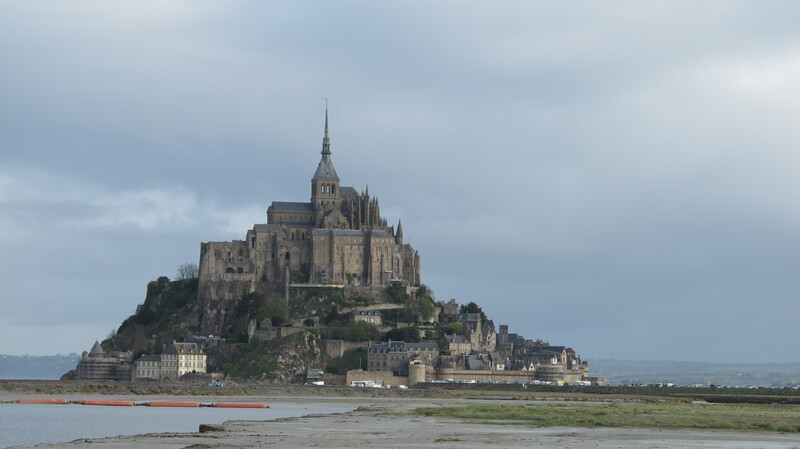 I recently travelled to Normandy with Emma to visit Mont Saint Michel.It was awe-inspiring. Like the fulfillment of a fairytale. Yet more amazing than this castle-like cathedral surrounded by water was our journey there and the people we met on the way. I guess God is teaching me that life isn’t about arriving to our destination and more about the people we meet and the things He whispers into our spirits as we just keep moving in the knowledge we have. The truth is I am falling apart but not completely. Somehow by writing all my honest thoughts I feel like Humpty Dumpty. It’s the writing, not all the King’s horses or all the King’s men that put me back together again. I love reading the raw thoughts of others. I love it when people say it how it is. I love a good narrative with an unsolvable complication that somehow gets resolved in an unexpected way. I’ve spent a good part of this week reading the narratives of my Literacy class. Some of their stories grab me with such intensity that I find myself reading them all the way through lunch. I am captivated by my student’s creativity. Other stories are submitted with problems that don’t grip me at all. I send them back asking them to make the problems bigger, more believable. Amongst my literary heroes are Anne Lamott, L.B. Cowman and Moses who all seem to have been down the road that I am on, someway or another. The way they capture their journey through suffering fills me with such hope. Coehlo writes, “If something touches the code of our soul, it is remembered forever and affects whatever comes afterwards.” This is, I think, what great writers do. By daring to ponder the deep questions truth is laid out straight. Like in a still stream our own thoughts and fears are reflected. What they write has resonance. So many of the people I love are suffering from hardship. They are asking the difficult questions. The same questions I asked when we couldn’t find a donor for Sam. The questions I asked when she was febrile and we wondered if she’d make it through the night. We all have questions, don’t we? Yet when “the word of the Lord came to Abram in a vision saying, “Do not be afraid, Abram. I am your shield, your very great reward,” Abram’s response perhaps wasn’t as holy as you’d expect (Genesis 15:1). “How can I know that I will gain possession of it?” (Genesis 15:7) he asked. Long before he had his name changed or went down in history, as the great man of faith; Abram was being honest with God. We all grew despondent at times. You’ve worked hard, been diligent, looked after everybody else as best you could. You’ve been to battle and celebrated small victories but when God’s word comes to you in a vision, reminding you of a promise, it’s tempting to think He has arrived a bit late. As you stare into space, pondering Abram, you are transported back in time. You feel the sand between your toes as you squat by the seaside, funnelling and scooping with your hands. The castle is built and you are anxious to get the mote dug before the next big wave heads for the shore. “Here, grab the bucket, run for water. Let’s test it first!” you yell to your brother who obligingly takes it from your hands. Your sister looks up from her book and turns on her towel to sun her other side. “If you keep digging you’ll make a hole to China,” announces your dad, looking over the top of his newspaper. “Really?” you ask, astounded by the things he knows. Then you see the glint in his eye and the smirk on his face, you know he is only playing. It doesn’t really matter about the hole to China. What you want more than anything is the perfect castle with a full mote and as the wave comes to shore you have everything you need. “Coffee for you,” the barista says and you thank him with a half-awake smile. Looking around, you see that all the usuals are there. The tradies in boots, the girls in heels, the schoolboy having an early hot chocolate with his dad. You watch their feet, as they come in, as you ask your questions in your journal, as you seek out answers in God’s word. You think of the bare feet of your girlfriend who walks along the seashore seeking answers as well. You know that sometime today she will call you to convince you that the winter chill of the water is so much warmer than the sand. Together you will share mysteries and stories. You will cry together about the way things were and how they have changed. Like Paul you will say “I want to know Christ and the power of his resurrection and the fellowship of sharing in his sufferings.” (Philippians 3:10) Still you will wonder what to expect next and whether there is meaning to this madness. Like Abram, you will take your questions to God. At times you will fall into deep sleep and taste the thick and dreadful darkness. (Genesis 15:12) Yet when you wake you will discover you are never alone. He calls you to come. He opens His word to you. Maybe for you it happens on an empty beach, or like me in a crowded café. I spent yesterday morning emailing Philippe, whose phone I am guessing you borrowed to contact me? What a kind and generous man! I am so pleased you are there together with Emma. Have fun. Coehlo was right Clare and you literally just touched the code of my soul as you have several times before with your blog. This is what I needed today and here it is from your hand… it feels like fresh breath in my lungs. OK Mrs Froggatt, Row here… you so need to apply for that other thing we were talking about… qualified or not. God walks with you and I want you to share Him with his little ones.